New research shows that since the city began taxing sodas, energy drinks and other sweetened beverages on Jan. 1, 2017, Philadelphians are about 40 percent less likely than residents of three nearby cities to have a soda every day. They are also 64 percent less likely to slurp down an energy drink on a daily basis, the Drexel University team said. The new tax adds 1.5 cents per ounce to the cost of sugared and diet beverages, including sodas, fruit drinks and energy drinks -- 18 cents for a 12-ounce container. The drinks have been linked to unhealthy diets and obesity. Bottled water, which does not come with the added tax, is now a go-to thirst-quencher. Philadelphians are 58 percent more likely to drink it every day, the survey found. The researchers say it's a step in the right direction, but it's too soon to know if the impact will last. Critics characterize the soda tax as an example of government over-reach. And some Philadelphians are holding fast to their beverages of choice. The city's taste for sugary fruit drinks like "Snapple" or "Sunny Delight" has not diminished even though they now cost more. But the survey of 900 Philadelphians found that their intention to buy something like a 12-ounce can of Coke or Diet Coke has plummeted. And this, say the study authors, indicates that the added cost is having an impact, even if retailers have not yet fully passed the tax along to consumers. 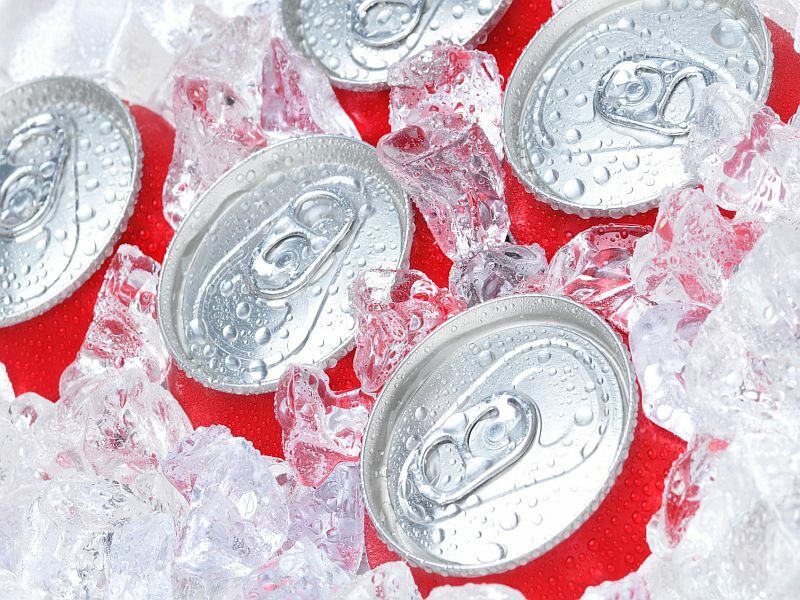 "The 1.5 cents per ounce tax is one of the largest beverage taxes in the U.S. so far," said lead author Yichen Zhong, a doctoral candidate at Drexel's Dornsife School of Public Health. "If the tax is fully passed on to consumers, the price for these beverages will increase by around 20 percent." She noted that a 10 percent soda tax passed in Mexico in 2014 appears to have spurred a lasting decrease in consumption. And the $.01 per ounce tax passed in Berkeley, Calif., in 2015 also appears to have led to a long-term dip. Unlike Philadelphia, neither Mexico's tax or Berkeley's applied to diet drinks as well as the sugared variety. In fact, the researchers note that Philadelphia is the first locale in the nation to extend a beverage sin tax to more broadly cover both sugared and sugar substitute options. Zhong and her colleagues outline their findings in the April 12 issue of the American Journal of Preventive Medicine. They note that nearly a third of Philadelphians typically consume at least one sugary drink per day. The survey asked residents about their likely beverage habits in the month leading up to the soda tax, and again over the first months it was in effect. The study authors aren't sure why Philadelphians' affection for sugared fruit drinks has not been affected by the tax. They theorize that these beverages may benefit from an unwarranted perception that they are healthier than sodas, even though they contain just as much sugar. Anthony Campisi, spokesman for the Ax the Philly Bev Tax Coalition, said the tax is punitive and locals are finding creative ways around it. "The city government's choice to impose this excessive tax on those who can least afford it punishes neighborhood businesses and families living paycheck-to-paycheck the most," he said. Campisi said American Beverage Association data suggest Philadelphians are buying untaxed soda in nearby suburbs, where he said beverage sales have risen 14 percent. He added that sales of drink mixes and instant tea have risen nearly 30 percent in city stores. The issue is better left to America's beverage companies, he said, noting they are helping cut sugar consumption by "ensuring consumers have a broad portfolio of products to choose from." Lona Sandon, a program director in the department of clinical nutrition at UT Southwestern in Dallas, questioned whether the early impact of the tax will endure. "People may just be mad about it and avoiding buying soda in protest of the tax," she said. "That mentality could wear off," particularly among the most devoted soda drinkers. "The taxes are likely to work for people who do not feel soda drinking is as important to them in the first place," she added, "and for others, it might be they were already planning to give up drinking soda and the tax just added an extra incentive." Sandon said the tax would have to be substantial enough to affect "hard-core soda drinkers" in the pocketbook, similar to taxes on tobacco and alcohol.